So, you have chosen the location for your portrait session and you have a solid plan for your color palette and the clothing that everyone will wear. Now it is time to focus on something you probably haven’t even thought about yet – What Products Will you be Getting? Walk through your house and look at all of the places you might want display your images, or where you need to replace an outdated portrait. Measure every single space that you might want to put a portrait and take photos of it as well. Measure EVERYTHING – you never know what images you might fall in love with so its best to be prepared. What sort of display would best suite your interior and your taste? Do you love the look of contemporary wood or metal prints? Or do framed canvases suite your style a little better? This is important to know, as the width of the frame moulding will take up space so your photographer will have to adjust the overall size and possibly the dimension of your portrait to fit in. Note anything that might impede in displaying a portrait in a certain area, such as placement of control panels, light switches and current furniture placement. All of these may impact what you display and where you display it. Also make note of areas that get especially harsh sun – your photographer may have specific recommendations to help maintain the longevity of your images. Now that you have your walls figured out, think about tabletop displays and gifts for other people. It is not always possible to display EVERY image that you love on the wall so be prepared to create a smaller display for a decorative table with small, framed gift prints. Or maybe an album or folio would work better for you? 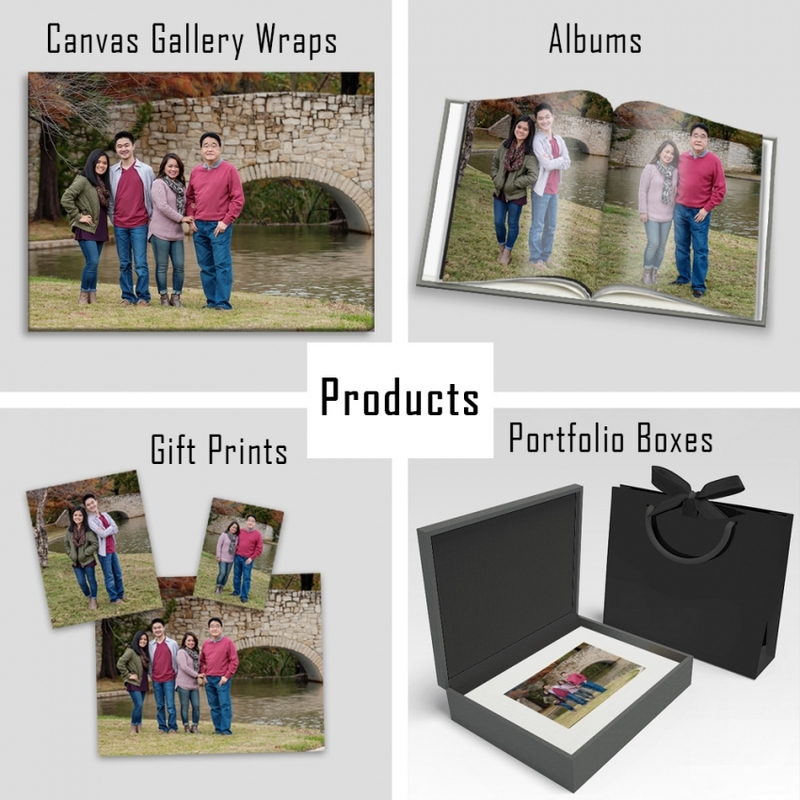 Plan your gifts – have your parent’s been dropping hints that they need an updated family photo from you? Find out how they would like to display it and what size they may need. If they are tight on space, maybe plan to do a small album or portfolio box. Think about the kids. The little ones are sometimes overlooked when it comes to ordering products but we have found that a lot of children love to have a photo or collage to display in their bedroom. It could be just a small gift print of themselves in a frame or it could be something fun like an accordion book with several photos of them, their siblings and the whole family. Your photographer probably offers a wide range of products that they have hand chosen for the benefit of their clients so let their expertise guide you. By giving your photographer the tools they need, you can work together as a team to create memories you will treasure for a lifetime.